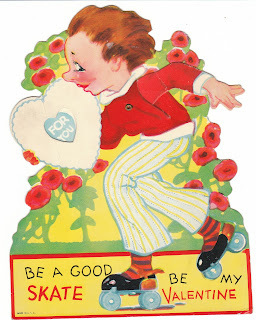 I'm excited about the fabulous range of vintage Valentines that I just added to my store, Birdhouse Books on eBay, and wanted to share a few of them with you. 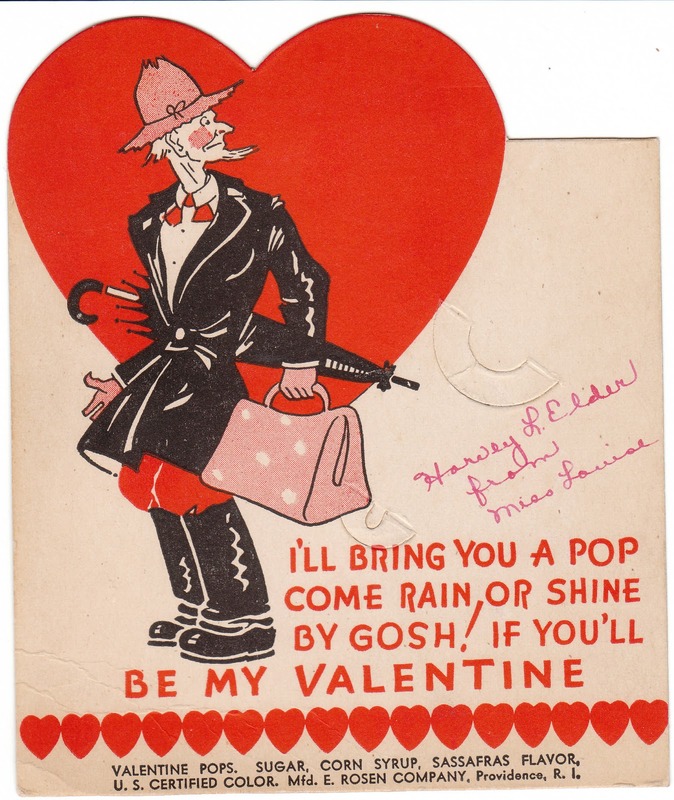 This mechanical Valentine features a cabaret singer. I think she looks like Mae West, but my friend suggested she looks like Jean Harlow. This is a 1930's vintage card. 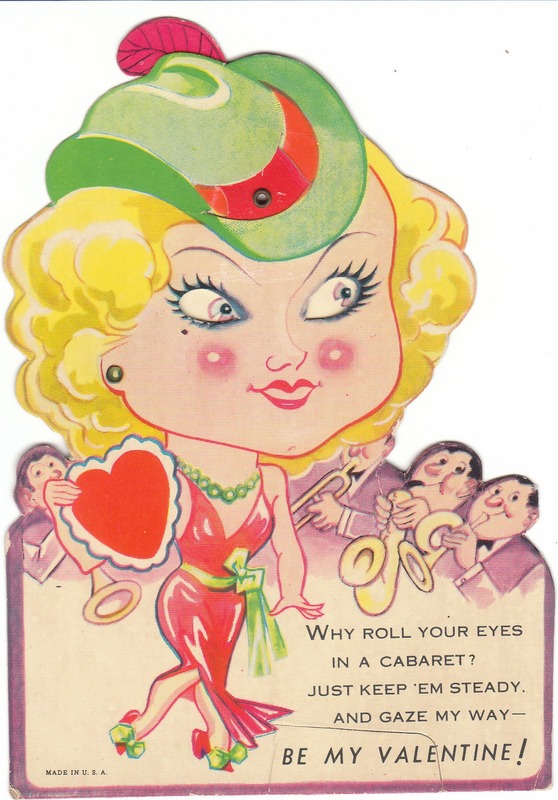 As you move the feather in the singer's cap, her eyes also move. Very unique! 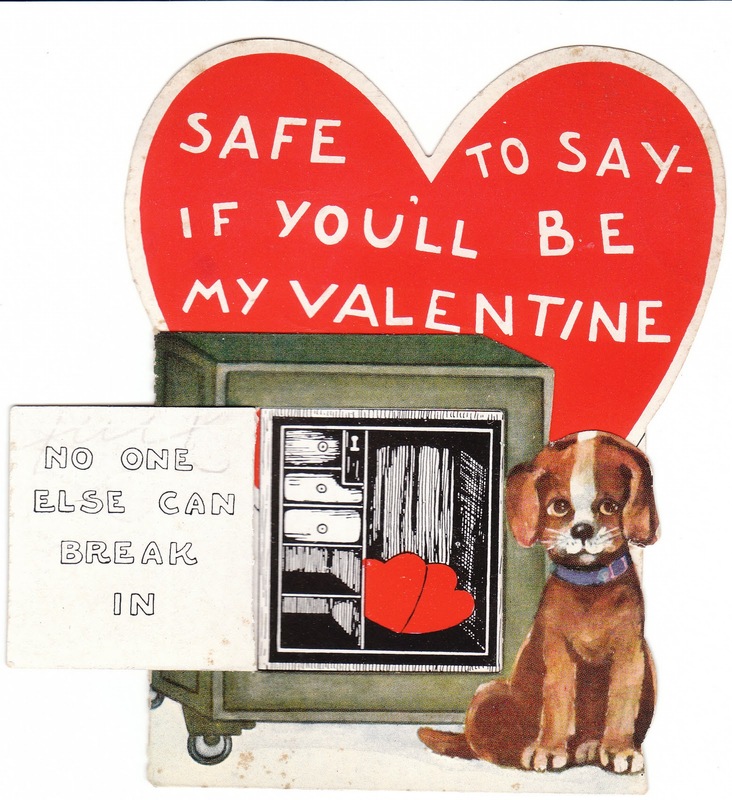 An adorable Beagle guards this combination safe. The safe door opens! This cute little Cocker Spaniel is an artist. 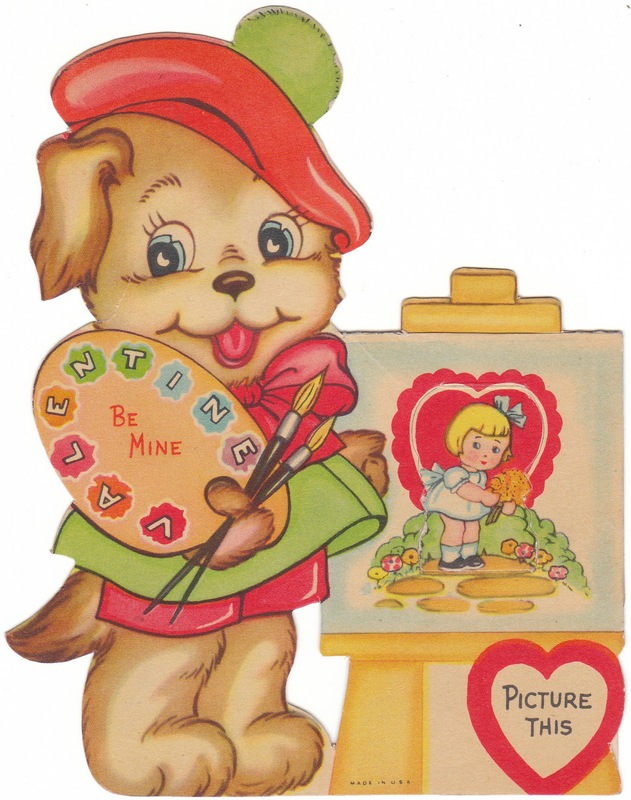 The card is easel back, so it stands for display. The painting on the little artist's easel lifts, with another picture of a little boy underneath. This is a 1940's lollipop card by Rosen. It was designed to tuck a lollipop into the slots. The old guy looks like a comic strip character, but I have not been able to place him. Any info on character or artist? Thanks! This is a really especially nice mechanical card. As you pull the tab, the little boy's whole face and expression changes. I would date this as 1930's to 1940's. One of my personal favorites, this little boy roller skates in a field of poppies. 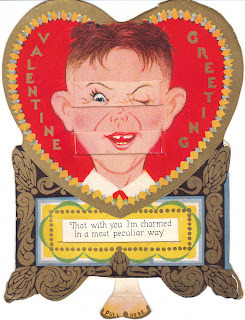 This is also a mechanical card, and as you move the boy's arm, the Valentine he carries also changes. You'll find all these cards and more at Birdhouse Books on eBay. 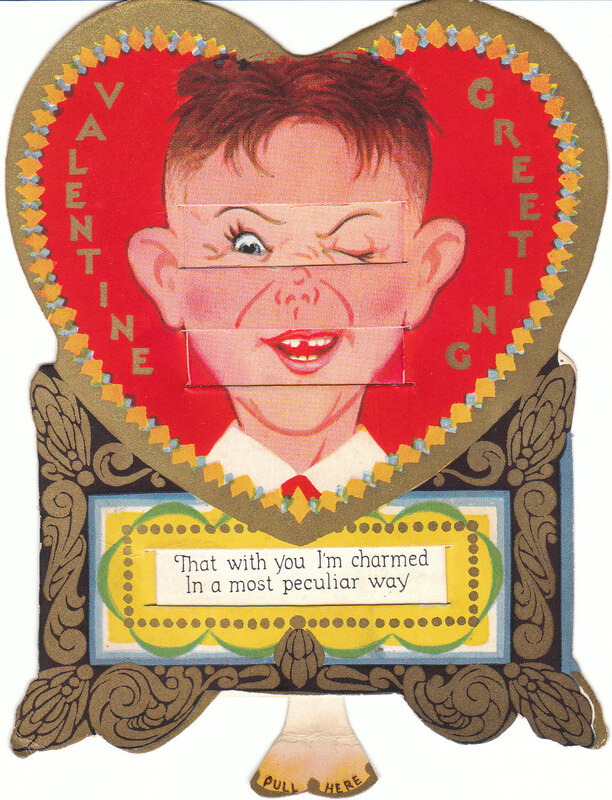 Love these vintage valentines - they are so amazing & you are right on time for getting them ready for people who are searching for just the right Valentine's Day Card. Thanks, Brenda! 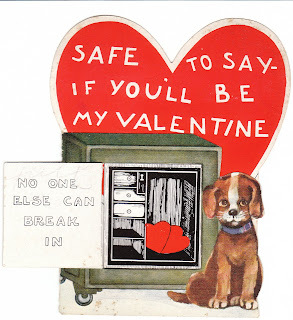 I really enjoy Valentine's cards!